Kali didn’t like her overbite and the how short her front teeth appeared. She also was able to bite into her palate with her lower teeth… obviously not a comfortable situation! Often overbites are also associated with a deep bite. 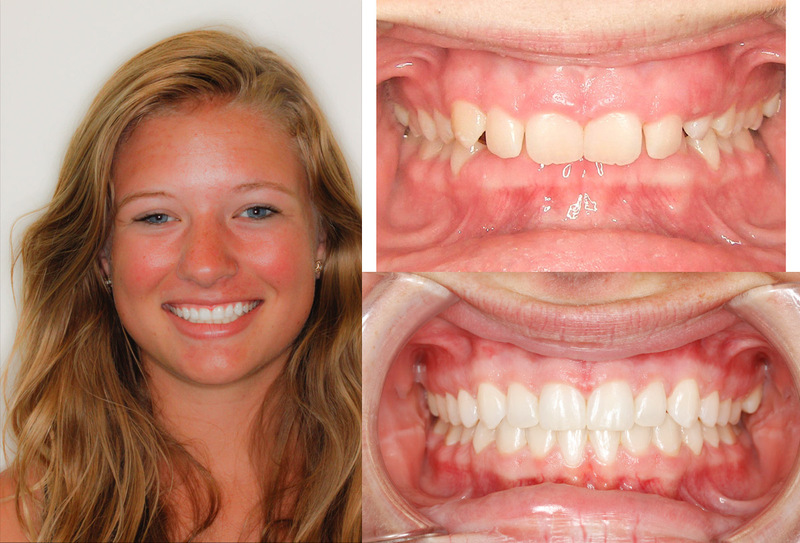 Kali was treated with braces in conjunction with a Herbst appliance. We also performed a little esthetic sculpting of the gums with our soft tissue laser. Without any injections and very little discomfort we raised the gums to where they belonged for a beautiful outcome.